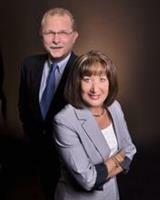 As a licensed real estate professional since 1984, I started my career in Minneapolis, MN. I joined the Tampa Home Team when I relocated to Florida in 2005. In addition to my experience in the real estate market helping individuals, like yourself, with the process of buying and selling homes, I also have knowledge of the mortgage and financing industry. This is an important aspect of the total home buying experience and I can help you understand the options that are available and explain the best way to tackle this process to obtain the best financing rate possible. Since my services, and the services of The Tampa Home Team, are not limited to just the Tampa area, we serve both Buyers and Sellers in the surrounding counties of Hillsborough, Pasco, Pinellas and Hernando. If you are looking for a good deal in a Short Sale or Foreclosure property, I have many years of experience dealing with these types of homes and the process that is involved in purchasing a distressed property. If you are an investor or an individual considering purchasing land, for investment or personal building, I can assist you in making a wise choice with prior personal experience in these areas from any price point. My objective, and the objective of my team members, is to help you obtain a good investment that you are proud to call home. I look forward to having the opportunity to work with you and help you obtain a little bit of paradise in the sunshine state. Please feel free to give me a call for all your real estate needs.